Federer thinks how they set up the court in Hard Rock is odd. In his press conference, he said the stadium had a good atmosphere, but is set up oddly. He said he thought they should have put the court "in the corner" instead of the "long side" because the sides "are steep." I have no idea what he means. Does anyone have a grasp on how they've set up the court within the football stadium? I assume he wanted it set up more like this? Sorry but it kinda looks ugly. He says that the venue as it is is no good. Bon Appetito, Roger!!! Pasta man has an opinion on just about everything. I suspect the planners of this thing considered various options in the stadium and the logistic advantages and disadvantages of various layouts before they made a decision. The reason its setup where it is, is that there are executive "72 club" seats in the middle with comfy chairs that they want to charge exorbitant prices for. It looks stupid and looks even worse on TV but they dont care. Awful atmosphere, awful setting, awful camera angle. Looks like some Chinese ATP250 tournament. Yeah, I agree with the rest. 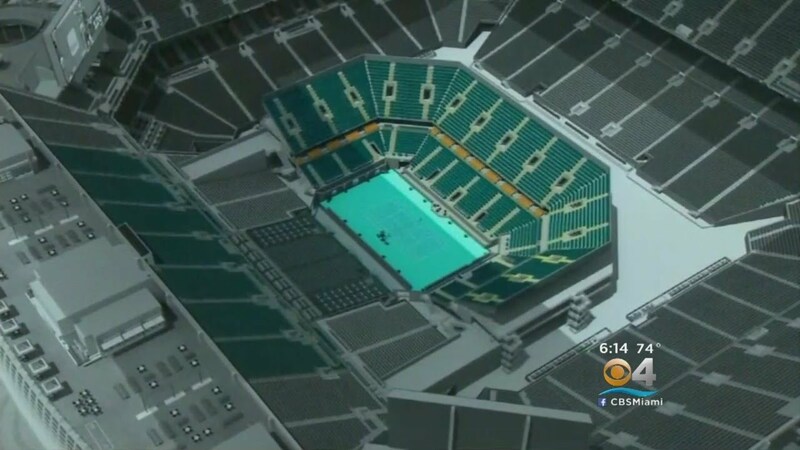 There was nothing wrong with the old Miami venue except the speed/bounce of the court which was a joke. No idea what Federer is on about but it must be right because he said it. Wait. Did I just agree with nAdAl django ???? The 200 level seats on the "non-Club" side feel steep like the old Louis Armstrong stadium - Federer is right. Waste of time to be in the Stadium if you don't have an extremely low level seat. To be fair, he was asked about it. Same reason I tell folks visiting the US Open for the first time not to buy AA nosebleed tix just because they are affordable. The only good use for them is to get a good view of Manhattan. Money better spent on grounds passes for week 1. Walk the grounds and watch these pros hitting the smack out of the ball up close. Gives you new respect for what it takes to win trophies. Something everyone forgets when they get up in arms over athletes "running their mouths." That's because this is the Lille Footbal Club, that has a retractable roof and was built as a multi-purpose venue, in order to host all kind of events, and not only soccer matches...it has a "phenomenal floor plan that sees two main levels. 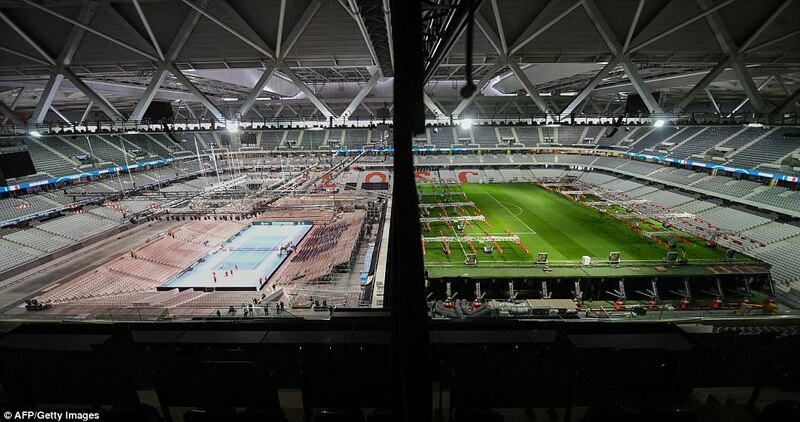 The red clay tennis court that has been laid for the Davis Cup Final is situated on the lowest level. Above that is the premier surface area, which is divided into two halves, with natural grass that is used for football matches. 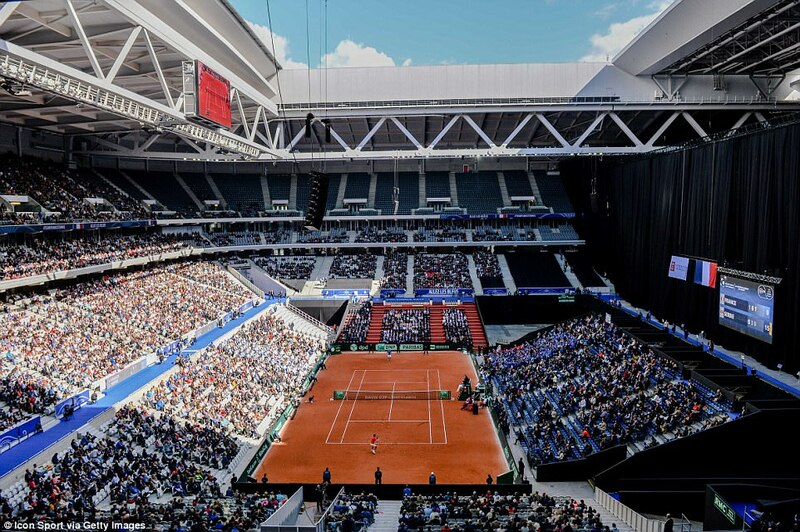 However, when there is a football match played across the full upper level there is seating for over 50,100 people while this weekend’s Davis Cup Final will see 27,000 fans seated in a horseshoe plan."(https://www.daviscup.com/en/news/191178.aspx). That's the reason why the tennis court was not that odd as it is at the Hard Rock Stadium.